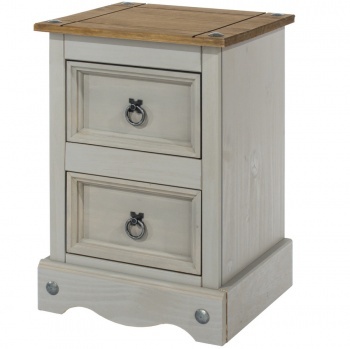 This fashionable all grey bedside cabinet has two handy storage drawers. Great for keeping items within easy reach of your bed. 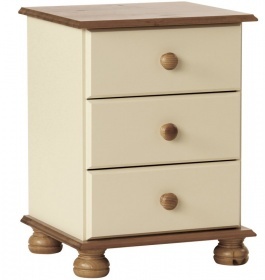 Stylish modern look with tapered legs and soft rounded corners on both tops and uprights. 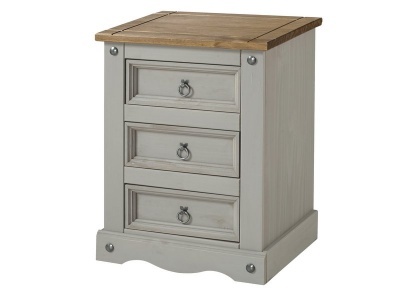 Polished metal handles contrast with the grey of the bedside beautifully. The Como furniture range has been designed especially to suit bedrooms where space is limited. Constructed from pine and MDF. Part of the new Como soft grey bedroom furniture range.